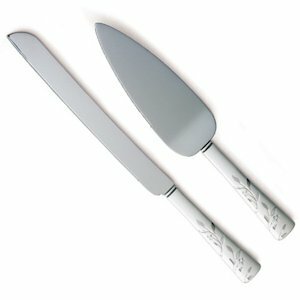 Part of our Venice themed accessory collection, this cake and knife serving set is made from zinc alloy/stainless steel with a brushed silver finish. 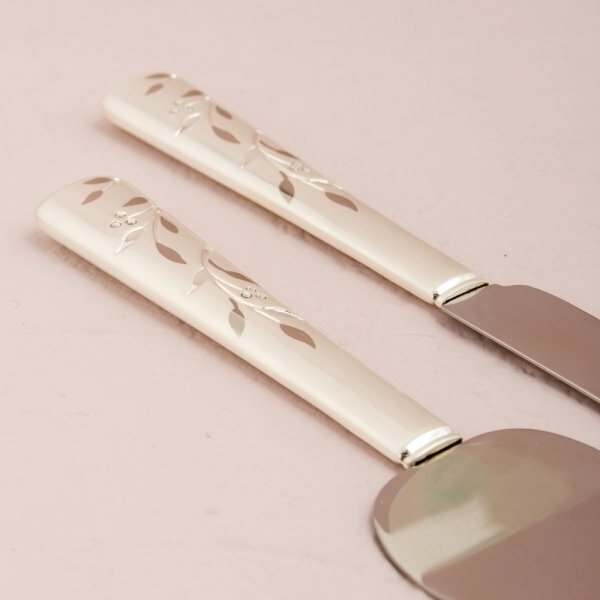 The handles feature a lovely silver floral pattern that is accented with 12 Swarovski crystals. A truly elegant keepsake for your cake-cutting ceremony. They coordinate perfectly with our Venice silver champagne toasting flutes (WS-8700). This cake serving set can be personalized for a small fee. Good morning! 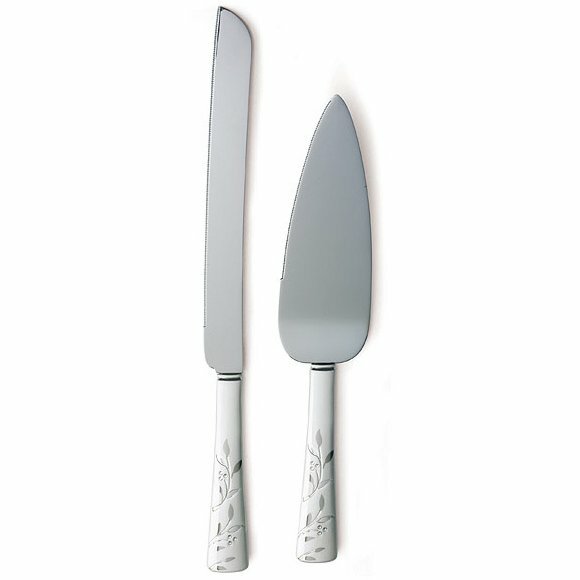 I love this Venice Silver Cake Serving Set. 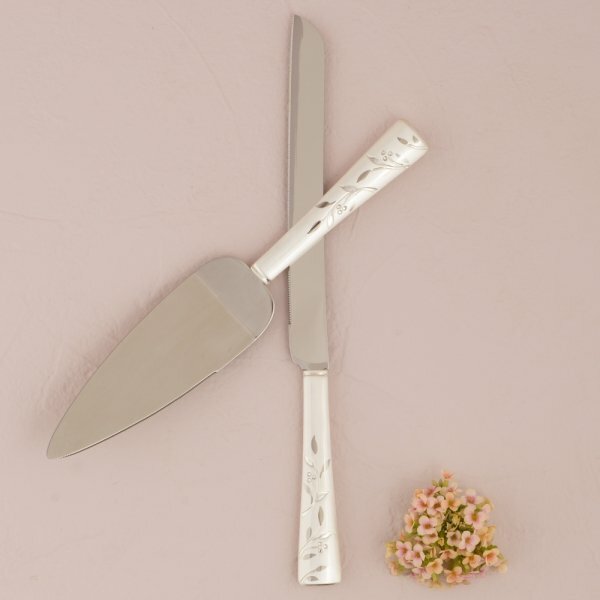 Will both the wedding knife and server be engraved? 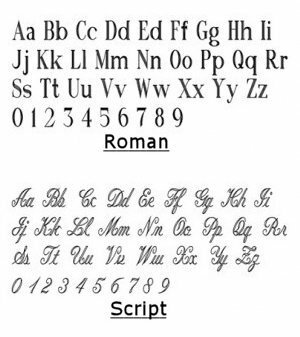 I would like both to be engraved, if it is possible. We love it too. We can engrave both. Just add it to your cart and follow the instructions for engraving. You can get up to two lines on both the knife and the server.